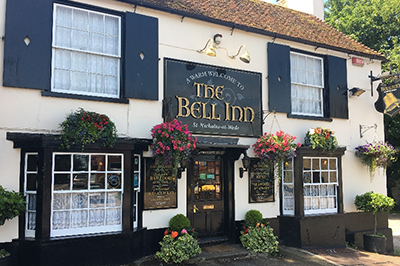 Keep up to date with news and forthcoming events at The Bell Inn by joining our mailing list. Just enter your email address below. If you wish to unsubscribe from our Newsletter Mailing List please enter your email address below. Need a venue for your function ? Here at the Bell we can accommodate groups for special functions providing buffet food menus or a sit down meal. For more information either phone us or use the online contact form and we will get back to you. Whether you are planning a Christmas office party, a night out with friends or a family get together our Christmas menu will suit your needs. All we ask is that you pre-order before you arrive on the booking form provided on the Christmas menu page. at The Bell Inn, every other Thursday, from 9.00 PM. On Monday lunch-times we offer two for £11.95 for any items on our specials board. © 2018 The Bell Inn. All rights reserved | Website by Semaphore Computing & W3layouts.